SO Delicious? YES, It Is. I’m quickly getting over the price tag to be healthy. Some invest in stocks, we shall invest in food as our medicine, and be grateful for the variety of options we have. So at some point between April and June, my body decided the yogurt I could once handle…. was suddenly a “no go” – and my stomach started treating it like it did other casein and lactose. I was so sad… I love my yogurt. I felt like it balanced out my body, especially when I had mouth sores. Will this be forever? I don’t really know. I live in the now. I haven’t gotten this sensitive to gluten before in my life as I have been in the past 6 months, nor to dairy like the past 1.5 years have been – so the whole playing field is changing. Well I hadn’t been having mouth sores, then I got some again when cross contaminated, and they just don’t seem to want to leave. It can make it very hard to eat. But I’ve been avoiding any citrus and as much sugar as I can. Lots of mouth washing after eating. Motrin… I even got some alum (spice) to help heal it. I also decided I really needed to try to find a good alternative that was dairy free. Ta-dah! Say hello to SO Delicious Cultured Coconut Milk. BUT… it was GREEK, so that made me really slow to buy more than one. 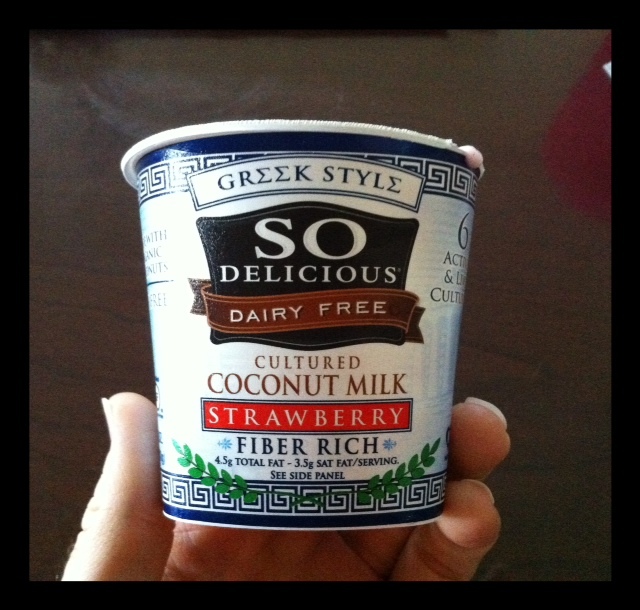 I never liked the dry taste of greek yogurts, and tried MANY to make sure that was the case. This was nothing like greek yogurt (to me). It was such an excellent option, I bought much more tonight to share with my other lactose intolerant peeps in our family. 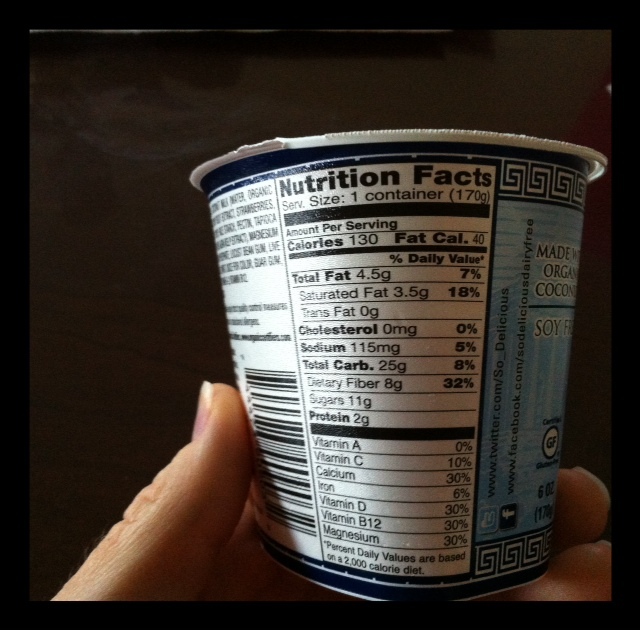 Posted on July 12, 2012, in Celiac/Gluten Sensitivity, Change, Diet, Food To Try, Label Reading and tagged celiac di, Dairy Free yogurt, Gluten free Yogurt, gluten intolerance, gluten sensitivity, so Delicious. Bookmark the permalink. Leave a comment.